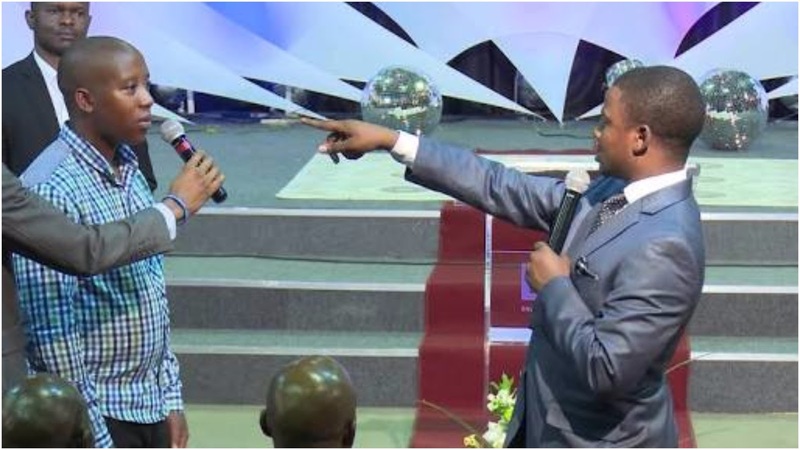 Bushiri’s church, Enlightened Christian Gathering (ECG) has got an "international visitors"programme which happens every two weeks of the month; though a lot of local people use it as an opportunity to see the prophet which is not the purpose of the programme. The programme is meant for people who are coming from outside countries,the people who can't be at ECG church every service. because Bushiri’s church has grown at an “alarming rate”, attracting millions of people from various countries across the world coming to the Republic of South Africa, on the “International Visitors” ticket. “These are the international visitors who agree and confirm to come under the care and supervision of the church. They are required to pay a fee of R7, 000 at ECG church that caters for their accommodation(hotels), meals and transportation, to and from the hotel and church respectively, for a period of 3 days. Prophet Shephered Bushiri 's church doesn't ask people money on facebook, Twitter,whatsup or any other social media. The arrangement to book your ticket is only done telephonically by the number on Prophetic channel screen,by Email or in person at ECG church Pretoria show ground. “Prophet Bushiri has got nothing to do with this arrangement as he is only concerned with preaching the gospel to them and making his anointing work in their lives. All pre-arrangements of the international visitors are done by an independent body chosen by the church,” reads the statement issued by Kelvin Sulugwe, Public Relations Officer for Prophet Shepherd Bushiri Ministries. Unless if your pastor at your church pay for your transport,accommodation or food for you to be at church.